Pop artist Robert Indiana, 80, stands on his porch at his home on Vinalhaven Island in May 2009. 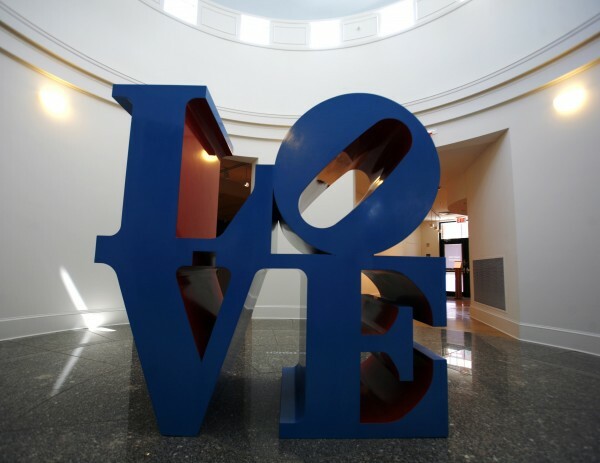 Pop artist Robert Indiana's love sculpture at the Farnsworth Museum in Rockland in May 2009. 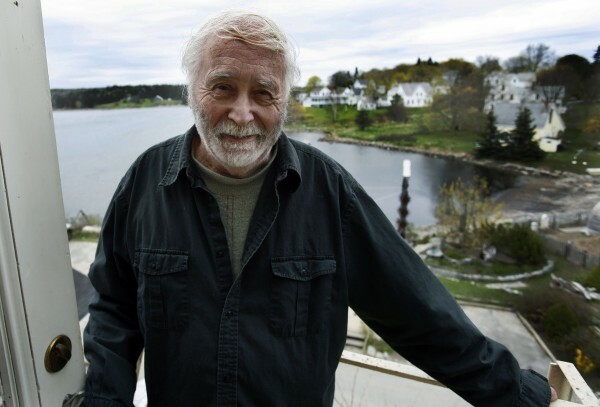 ROCKLAND, Maine — An art buyer from Monaco has filed a lawsuit against Robert Indiana claiming that actions by the world-renowned artist made the European’s major investment in what he thought was Indiana’s works worthless. Joao Tovar of Monaco filed the lawsuit Wednesday in Knox County Superior Court against Indiana of Vinalhaven, who gained world renown for work such as his “LOVE” sculpture. But Tovar lost a federal lawsuit alleging the same issues in November in U.S. District Court in southern New York state when the judge said she did not have jurisdiction in the case. Tovar had argued in the federal lawsuit, and again in the state lawsuit, that he purchased several sculptures allegedly created by Indiana. The sculptures were called “PREM” sculptures. PREM is the English translation for the Hindi word for love. Tovar began purchasing the sculptures from John Gilbert, who published and promoted work by Indiana, in May 2008. Gilbert and Indiana had an extensive business relationship. Tovar claimed he received a signed certificate of authenticity issued by Indiana that stated “for Tovar.” Indiana, however, claimed that signature was simply done as a souvenir for Tovar. About a year after the purchases, Indiana issued a letter renouncing his alleged authorship of the PREM sculptures. Tovar stated he had his PREM sculptures slated for sale in Christie’s auction houses in Milan, Italy, and in Dubai. The lawsuit seeks unspecified damages for breach of contract, product disparagement, unjust enrichment and misrepresentation. Jovar is represented by attorney David Lourie of Cape Elizabeth. In November, U.S. District Court Judge Deborah Batts dismissed Tovar’s federal lawsuit, stating that the court lacked jurisdiction. Indiana could not be reached for comment. But records filed in a lawsuit between Gilbert and Indiana in U.S. District Court of Southern, N.Y., include an April 19 settlement between the two parties in which Gilbert is barred from saying he has any contractual, commercial, business or artistic relationship with Indiana’s works. Gilbert also is prohibited from saying that the English version of PREM is work created or authorized by Indiana. Gilbert had sued Indiana in the federal court in New York but U.S. District Court Justice Katherine Forrest ruled March 2 in favor of Indiana. The federal judge ruled that Indiana had not agreed to the use of the English letters PREM but instead Hindi characters that translated to love. The judge’s order noted that Indiana considered the English PREM design a “monstrosity” and said it looked like a refrigerator. Lourie noted the federal lawsuit between Indiana and Gilbert does not affect Tovar’s rights against either party. He also said the settlement between Gilbert and Indiana was made before the judge’s ruling was made final. He said he could not comment further outside the courtroom.